Summit Ridge Credit Union has just about everything you'll need to make managing your finances and life easier! Summit Ridge Credit Union allows you the security and convenience to automatically deposit your payroll check, retirement check, social security check, and government check into your Summit Ridge Credit Union account. ACH Transfers are a great alternative to mailing payments or sending wire transfers. They are a free, safe and convenient way to make overnight loan payments, pay bills, and transfer funds between financial institutions. You choose the amount you want deducted and we will automatically deposit it into the account(s) of your choice. Call us at 816-272-6160 for more information or complete the ACH Authorization Form to request this service. Summit Ridge Credit Union is a trusted source to wire funds out or receive wired funds into your accounts. For outgoing wires, download our Outgoing Wire Transfer Form & Agreement and fax to us at 816-272-6266. After sending your fax, please call us at 816-272-6160 to ensure we have received your request. Those requests received by 12:00 PM for outgoing wires will be processed that day. For incoming wires, download our Incoming Wire Instructions and provide them to the financial institution sending a wire to your Summit Ridge Credit Union account. Bill Pay...It's a piece of cake! 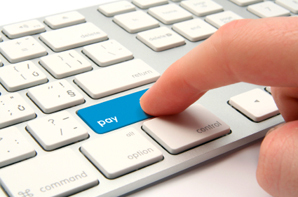 Set up payees, once, then just tell us when and how much to pay. Anytime, day or night, it's online, private and very secure. Never worry again about late payments, overdue fees, missed payments, or postage due and it's FREE! Online bill pay makes life easy. It's sweet! Try a DEMO! Need a document notarized? Call us at 816-272-6160 for more information. Located at the front entrance of our building, you will find a night deposit for your convenience. More4U is an exciting rewards program exclusively for More4U clients via Visa® Credit Card. It provides great flexibility and value , rewarding cardholders for their everyday and larger purchases. You earn points for retail transactions plus additional points through promotions run by online and in-store participating merchants. Points can then be used to redeem account credits, merchandise, travel, event tickets, activities, or gift cards. Discover all that More4U can do for you! ENROLLING IS SMART. IT'S ALSO EASY. Your no-cost $1000 Accidental Death & Dismemberment coverage: It's yours. All you have to do is claim it. Life at every chapter, with less guessing and worrying. There's nothing like the feeling that you can handle anything that comes your way. TruStage Insurance products & programs help you get there. They're made available through the companies of the CUNA Mutual Group, working with America's credit unions and credit union members like you since 1935. Click on a logo to learn more about and access a discount! Use the following user name and password.